>> How Safe Is It To Consume Hydrolyzed Collagen? Excitement and use of collagen began in the 1970s, however it is only in recent years that its popularity as a food supplement has really taken off. Collagen is part of group of fibrous proteins that act as building blocks for the skin, teeth, cartilage, bones and other tissues in our bodies. It is known to assist in healing and repairing damaged tendons and also maintains the elasticity, resistance and mobility of our joints. Although collagen supplements have become quite popular today, we still do not hear or read much about how taking them may affect our health and physical appearance. The irony is that collagen has been part of our diets for thousands of years. In the past, our diet included foods such as homemade broth or stock. So when you boil a chicken or simmer beef bones, the substance similar to jelly that rises to the top is collagen. Some researchers have suggested that our modern society’s predisposition for boneless and skinless chicken pieces could be a major factor for the very reason why we need supplements today. We’ve essentially created a collagen deficit. There has been a substantial amount of research conducted into both the safety and efficacy of hydrolyzed collagen intake. In a sizeable double-blind, placebo-controlled study undertaken in early 2014, women who took 2.5 g of hydrolyzed collagen peptide once a day for 8 weeks showed a 20% reduction in wrinkle depth around their eyes. Additionally levels of the body’s own production of procollagen (a precursor chemical to collagen) were significantly boosted with production up by 65%. In the study no significant side effects were observed ultimately proving that the supplements were able to make women’s skin behave as though they were many years younger without the side effects associated with other treatments such as botox or collagen injections. Additional studies have reviewed the safety and efficacy of collagen with regard to bone and joint diseases such as osteoporosis and osteoarthritis. One study found that ingestion of 10g of collagen daily was able to reduce pain in patients with osteoarthritis of the knee or hip. The use of the products was associated with minimal adverse effects which were primarily gastrointestinal and characterised by ‘fullness’ or an unpleasant aftertaste in the mouth. The study altogether highlighted that collagen had a positive effective on cartilage metabolism. Additionally therapeutic effects could also be extended to inhibiting the breakdown of bone collagen coupled with a high level of safety making it an ideal choice as a long-term treatment for those with such chronic disorders. A third study conducted in rats further supported collagen’s safety levels as animals were administered either 0mg, 30, 300, or 3000mg per kg of body weight for over 90 days. The results showed that all four doses were well tolerated and led to few, if any, adverse events. The primary culprit of side effects are allergic reactions to collagen, which primarily occurs in cosmetic products used on the skin. Additionally, individuals may develop allergic reactions from collagen made using fish or shellfish. There are very few cases in which individuals have had reactions from ingesting collagen made from cattle or pigs. All in all, consuming collagen is viewed as safe. However, as a result of taking collagen supplements, individuals may develop a condition called hypercalcemia, in which the body accumulates potentially dangerously high levels of calcium. This is especially so for collagen supplements derived from marine sources, such as shark cartilage or fish, which are known to be high in calcium. Any reading of calcium levels above 10.2mg/dl is considered hypercalcemia and should be addressed swiftly. Too much calcium in the body can cause bone pain, constipation, fatigue, nausea, vomiting and even abnormal heart rhythms. (Note: Besides the negative health effects, collagen from shark cartilage is terrible for the environment. Many individuals have reported a bad taste being left in the mouth after taking collagen supplements, especially those made from marine life. Drinking strong flavoured drinks such as fruit juices with this type of collagen supplement can mask the odour. However you should be aware that drinking acidic fruit juices such as orange, apple and grape can ultimately lower the effect of the supplement’s strength and potency and in this way should be avoided. Collagen manufacture involves the sterilization of the product for about 30 minutes at a temperature of up to 221F. 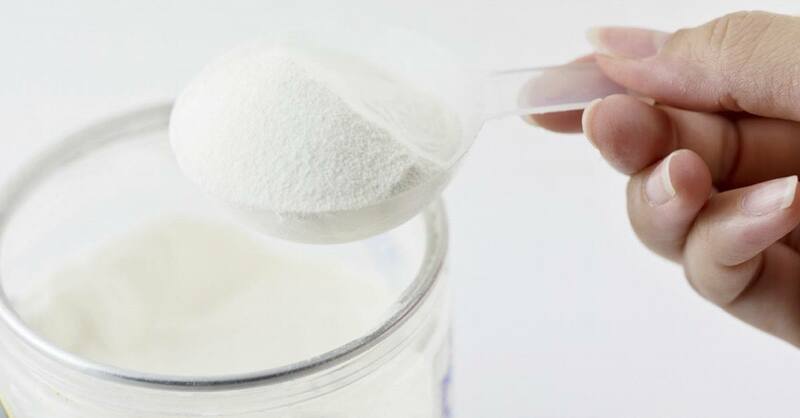 The sterilized collagen hydrolysate is then filtered through diatomaceous earth, concentrated, preferably under vacuum, and then dried to form a powder and packed. The U.S. Food and Drug Administration (FDA) with support from the Transmissible Spongiform Encephalopathy (TSE Advisory Committee) have been monitoring the risk of transmitting animal diseases, such as mad cow disease, since 1997. All reputable manufacturers today follow the Quality Management System according to ISO 9001. All step are therefore documented and pharmaceutical-grade collagen is under strict regulations from the FDA, the European CPMP and European Pharmacopoeia. Collagen supplements are safe to consume and the FDA has ensured that all supplements are manufactured in FDA approved laboratories. The safety profile of collagen is clearly backed by research and the government is currently overlooking the manufacturing process.